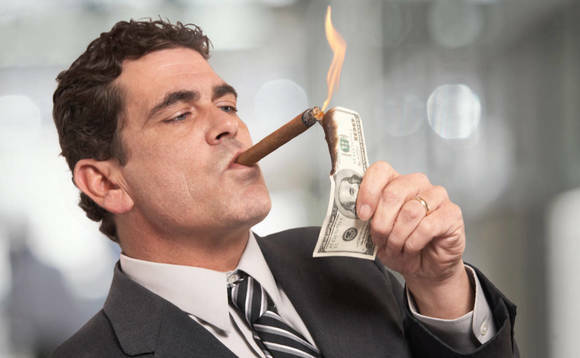 The ranks of the world’s Ultra-High-Net-Worth Individuals (UHNWIs) – those with $30m or more in net assets – rose by 6,340 in 2016, to 193,490, after having fallen by 3% last year, according to the latest edition of the Knight Frank Wealth Report. The 37-page annual report makes reassuring reading, as it does most years, to anyone who might have been concerned that the global luxury property and spending boom might be in danger of slowing down. For this reason and also as it does most years, it contains a wealth of information of potential use for those in the business of marketing property and other goods to wealthy individuals. Among its findings, for example, is that the UK was the top market for wealthy buyers looking to own overseas property last year, followed by New York and Hong Kong, while Australia was the market in which the resident UHNWIs were most likely to shop for properties in their own country than abroad. Here, around 30% of those surveyed said they were looking to buy a domestic residence, compared with only around 12% who said they were house-shopping overseas. Wealthy Chinese individuals, meanwhile, were found to exhibit the greatest interest in buying overseas residential properties of any nationality, in spite of the Chinese government’s increasingly stringent capital controls. Grainne Gilmore, head of UK residential research at Knight Frank, noted that the “momentum” seen in world wealth creation in 2016, although “relatively modest” by historic standards, had been “far from being a foregone conclusion, especially given that nearly three-quarters of respondents to our Attitudes Survey highlighted political uncertainty as a significant threat to their clients’ availability to create and preserve wealth”. What’s more, in spite of many gloomy and downbeat prognostications about the UK’s economic prospects as it decouples from the European Union, the Knight Frank researchers found that in Europe, the UK nevertheless appears destined to “remain the front-runner in terms of its ultra-wealthy population, with a forecast 30% rise in UHNWIs over the next decade”. * More than half of those surveyed by the Knight Frank Wealth Report researchers said that passing wealth on to the next generation was a “major focus”, behind only wealth preservation (66%) and capital growth (60%) as a priority. This measured approach to wealth management was seen as being reflected by the prioritisation of minimising risk (44%) rather than looking for innovative new ways to invest (21%) among these individuals. 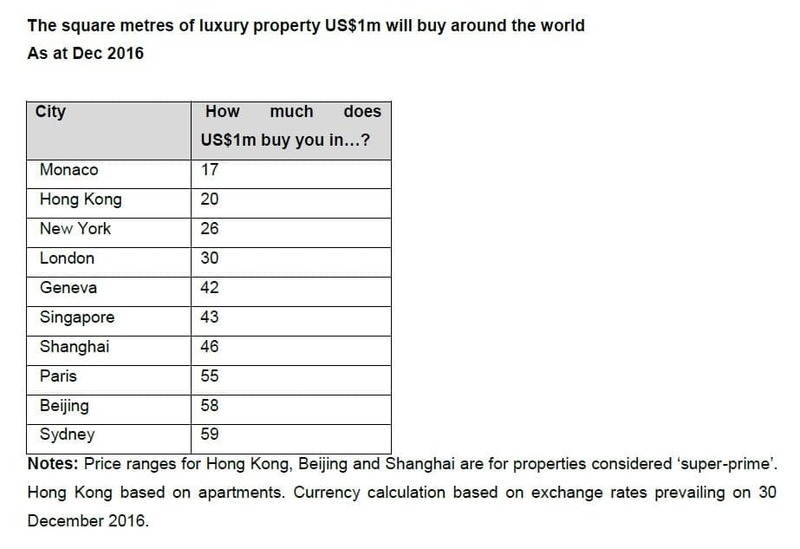 * For the tenth year in a row, Monaco retains its place as the most expensive city to buy luxury residential property, as measured in terms of how much accommodation space US$1m can buy, as measured in square metres. Hong Kong, New York and London rank behind it, respectively (see chart, below). This year shows New York knocking London out of third place on this list, with US$1m buying just 26 square metres of prime property, compared to London, where the same amount can now buy you 30 square metres. To read and download the 2017 edition of the Knight Frank Wealth Report, click here.